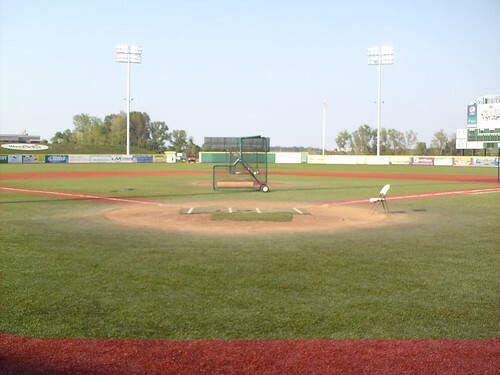 The view from behind home plate at Sprenger Stadium. 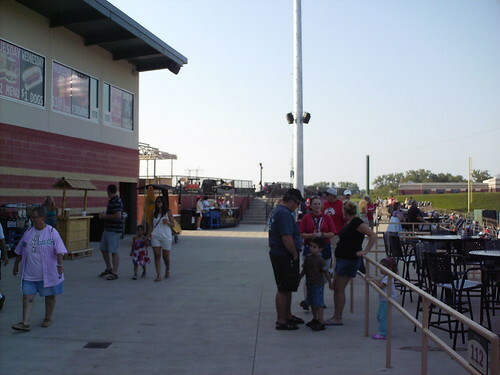 The view from down the third base line, looking toward the scoreboard and the children's play area. 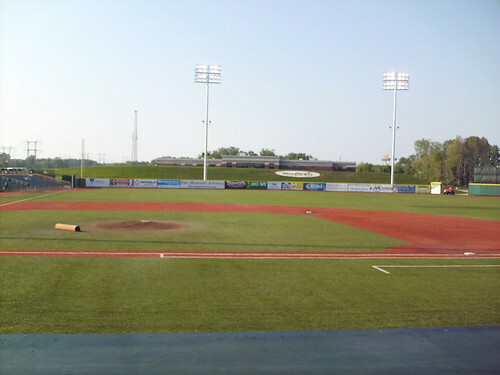 The view from down the first base line looking toward the tall berm in left. 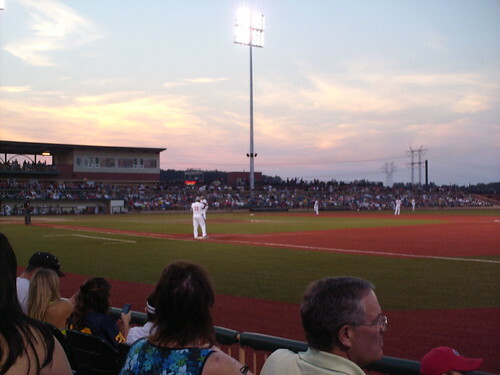 The grandstand at Sprenger Stadium, as seen from center field. 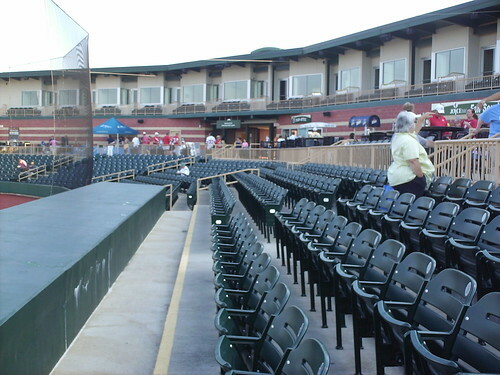 The seating area is relatively small, with only four rows of seating behind the dugout, before the open concourse and luxury suits above. 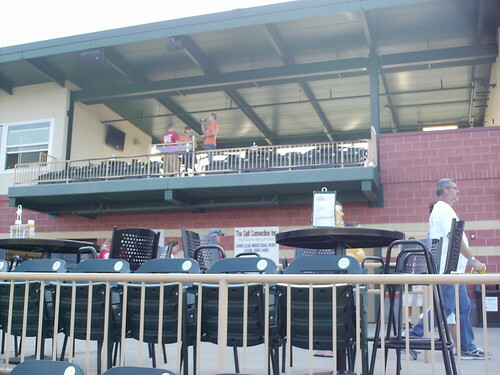 An elevated seating area overlooks the field from the third base side. 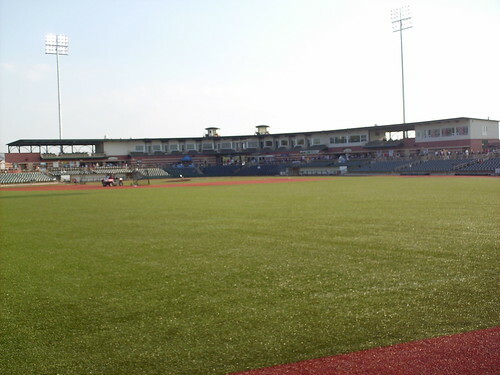 A large, open picnic deck sits in the left field corner. 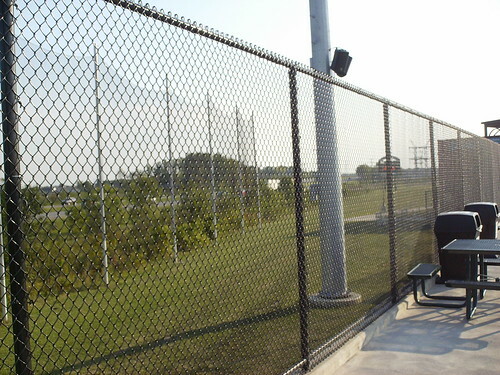 The ballpark sits right along side Interstate 90, and a net protects drivers from potential long home runs. 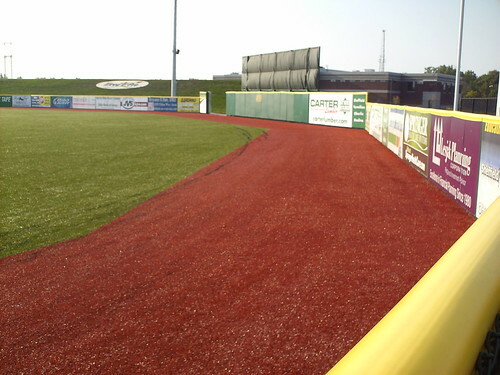 Though the field is fairly uniform all the way around, the outfield fences aren't rounded, but make a series of corners. 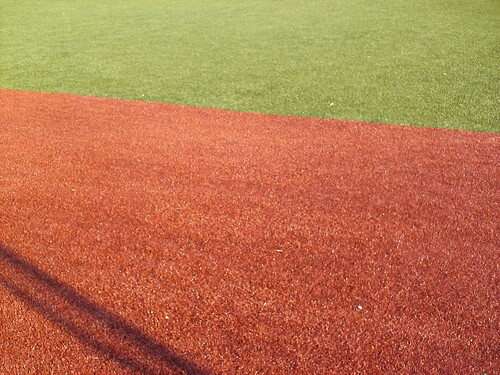 Despite being an outdoor park, the field is made from artificial Tiger Turf, with the only dirt around the plate and pitcher's mound. 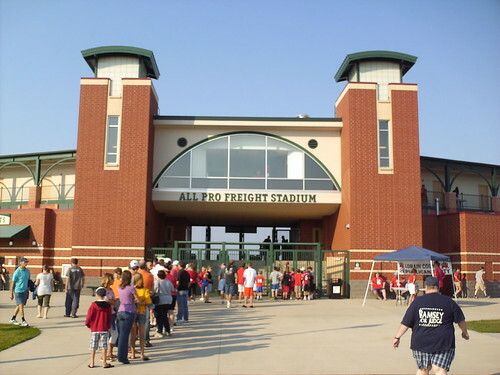 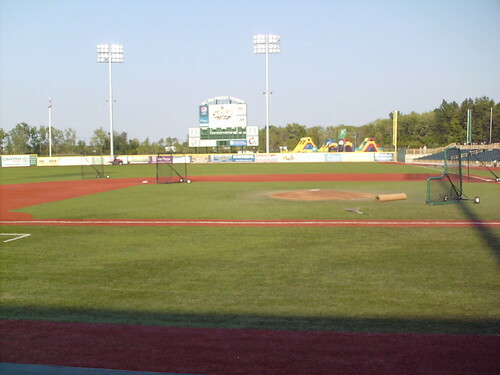 The Lake Erie Crushers on the field during a game at Sprenger Stadium.